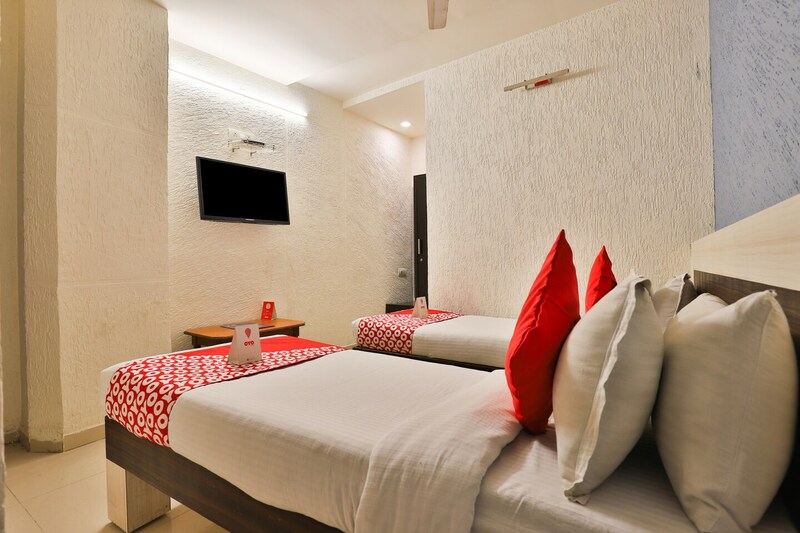 Close to Gandhinagar Railway Station, Hotel Jasmine is set up in a quite location in Ahmedabad. The rooms are cozy and comfortable with all the essential amenities provided for the convenience of guests. The brightly-lit rooms are elegant and refined with attractive walls, patterned curtains, modernistic chairs, and unique headboards of the beds. The hotel provides basic facilities like free Wi-Fi and laundry services. CCTV cameras have been installed to ensure the safety of the guests. The Sabarmati Riverfront, Siddhi Vinayak Temple and Bhagwan Nagar Char Rasta are some places in the vicinity of this property that can be visited by the guests if they feel like exploring Ahmedabad.